Just 50 meters from the most popular beach of Myrina, "Richa Nera" beach, next to a splendid pine forest, are the "Afrodite" rooms and apartments. It is the ideal choice for enjoying Myrina and Lemnos. Start your day enjoying a coffee on your terrace overlooking the Castle of Myrina. Exclusive Offers for sailing excursions. We do not charge you extra costs for your reservation. 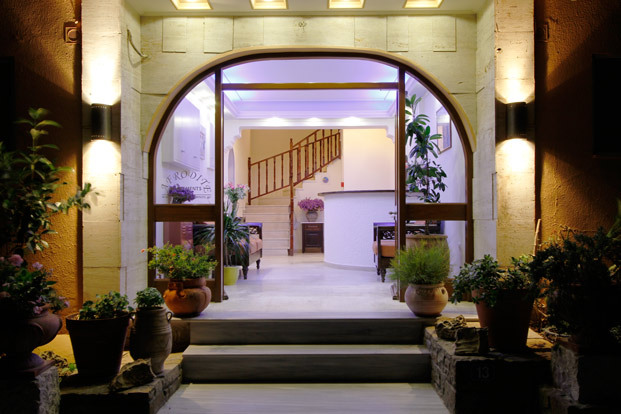 The ideal choice for a couple, for an inviting stay in Lemnos close to the beach! The ideal choice for a small family or a group of friends. Two spacious bedrooms with comfortable beds ensure comfort and privacy. Lemnos is a hospitable island in the North East Aegean. On this island Hephaestus, the god of Technology according to Greek mythology he lived and had his workshop. The capital of the island is Myrina, with the Venetian Castle dominating. One of the best preserved castles in the Aegean. From Myrina and the west coast of the island you can enjoy unique sunsets, with the Sun hiding in its west, behind Mount Athos. Lemnos with its many beaches is an ideal destination for a carefree holiday, but also a destination with a rich history to discover. The island of Lemnos is an ideal destination for many activities. Take one-day sailing cruises to enchanting beaches around Lemnos, enjoy the magic of WindSurf and KiteSurf, taste unique products produced by the land of Lemnos. Lemnos is a destination not only for relaxation but also for action! We stayed for 9 days in Aphrodite Hotel. Our room was spacious with a huge veranda. It was equipped with all necessary staff to prepare your breakfast or meal. The room was clean and the service staff was very helpful and polite. Wir k?nnen das Apartmenthaus nur empfehlen. Es ist sehr, sehr sauber. Unser Zimmer war ger?umig und der Balkon f?r zwei absolut ausreichend gro?. Sehr freundliches Personal. The room is comfortable and clean. The view very nice, the cleanliness perfectly, the staff friendly. It was close to an amazing tavern next to the sea and 10 minutes from the "Romeikos Gyalos" and the center of Myrina. Friendly, helpful, inexperienced people. The room and the beds were comfortable, spacious and mostly clean. Next to the beach and the center with the market and the taverns - bars. Do you want to enjoy the magic of Lemnos with a panoramic view of Myrina? See also the Studios and Apartments "Amygdalies".